All Rimrock homes currently listed for sale in Paulden as of 04/23/2019 are shown below. You can change the search criteria at any time by pressing the 'Change Search' button below. 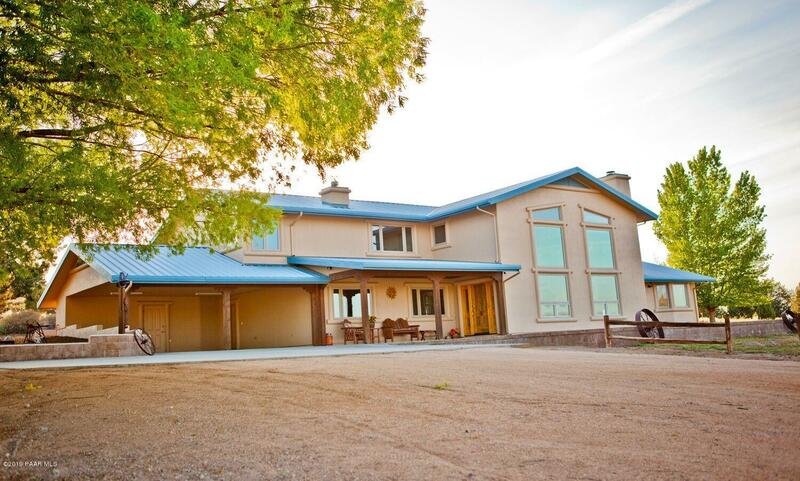 "Incredible luxurious upper end home on 4 acre estate in the prestigious Rimrock subdivision, paved roads, underground power, great water supply, 300 days of sunshine, captivating views, and just moments from the headwaters of the Verde River. 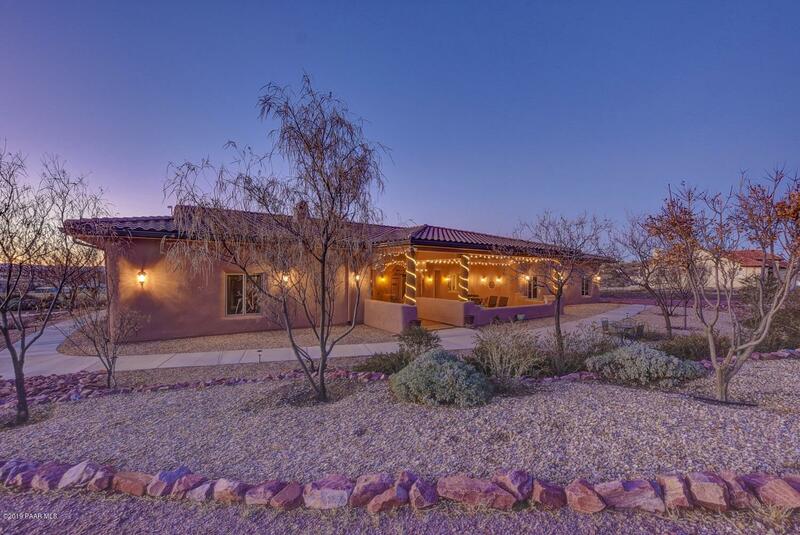 Impeccable detail in this energy efficient Spanish contemporary home, 11 1/2 foot ceilings, numerous arches, hand troweled Venetian plaster walls, chef's kitchen with knotty alder cabinets, 2 sinks, large pantry w/wine storage, extensive granite and tile th"
"Stunning Ranch Style Home on 10 Acres abutting the headwaters of the Verde River and 900+ acres of State Land! Dramatic vaulted ceilings, seperate game/trophy room, stone fireplace and gorgeous flagstone floors throughout make this a one of a kind dream home! Escape outside to an oversized arena with roping chutes, horse hot walker, covered stalls with automatic waters and large hay barn. 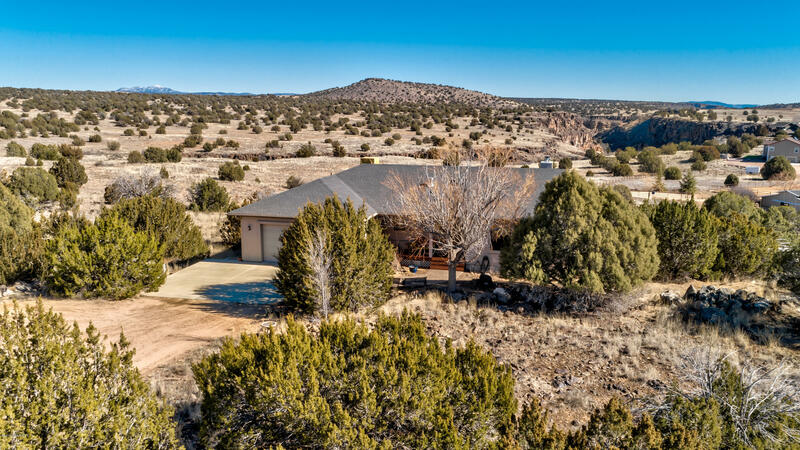 Private gate from property leads out direct to 900+ acres of State land perfect for trail riding and explori"
"Enjoy the Grand Canyon type views of the headwaters of the Verde River! Take it all in from the back deck with spa. Car enthusiast! 4 car garage attached (2 upstairs and 2 in walkout basement) and 2000 sq ft car garage detached. Detached garage has 3 garage doors with 1 of them being for an RV, also has a car lift that will convey with the home. Main level living with master bedroom, guest bedroom and office/possible third bedroom. 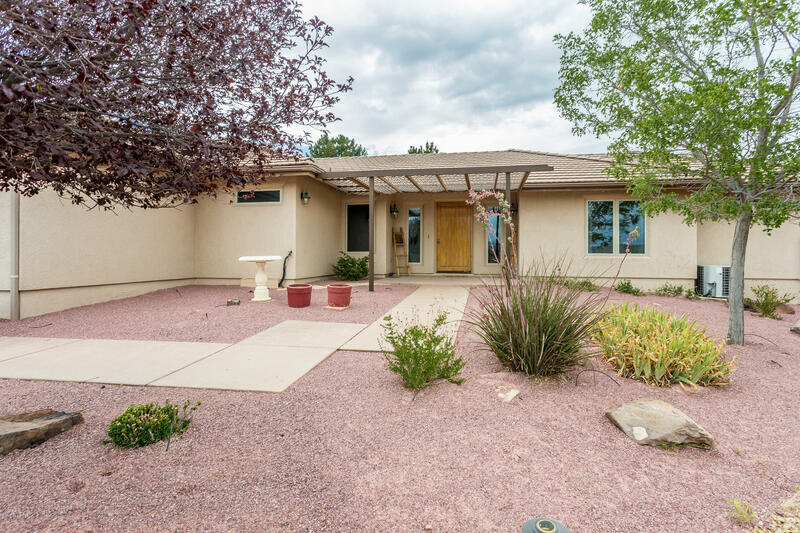 Walk out basement has 1248 square feet in addition to the 1791 "
"''Mi Ranchito'' ~ Outstanding Fully Fenced/Cross Fenced 5.5 Acre HORSE SETUP. PAVED Access with 150 GPM Well in Rimrock Subdivision! Features include a 2900 Square Foot/ONE LEVEL Ranch w/Tile Roof, having 4Bedrooms/3Bathrooms/3CarGarage, Open/Split Floor Plan, GREAT ROOM w/Wood Stove, Formal Living Area, Beamed/Vaulted Ceilings, Ceiling Fans, 12'' Tile & Engineered Hand Scraped Hardwood Flooring, New Interior Paint, Honeycomb Shades, Surround Sound, Central Vac, & Zoned Heating and Air. Has ''M"